Yesterday morning after getting home from our trip at 2 a.m., we all kind of hit the ground running. 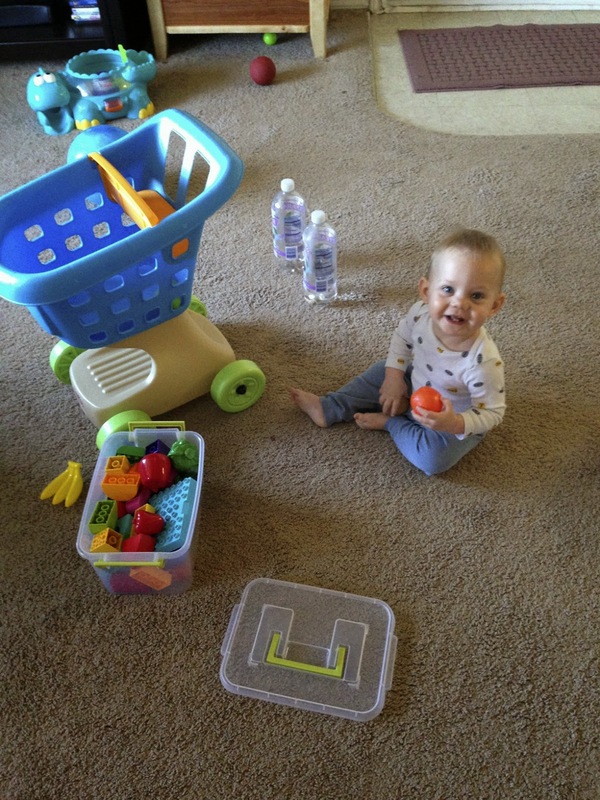 Trevor had work in the morning, I had work in the afternoon, Milo was beside himself with joy to be home with all his favorite toys and empty water bottles, the apartment that I left very clean had exploded with our luggage, and we had no food. Today I'm looking forward to being all put back together. Love that feeling! 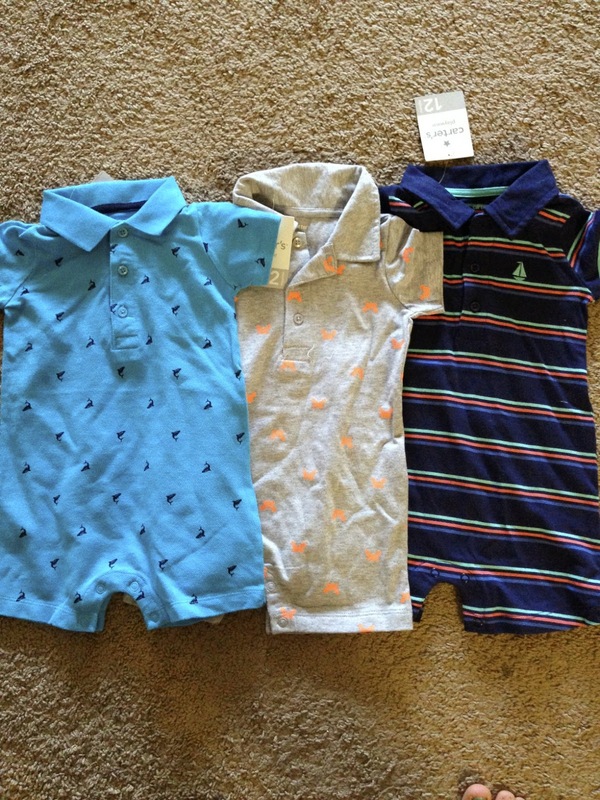 Also, I am dying over these baby rompers we found last night at Sam's. I've been excited all night for Milo to wake up this morning so I can put him in one. It's the little things, I tell ya.